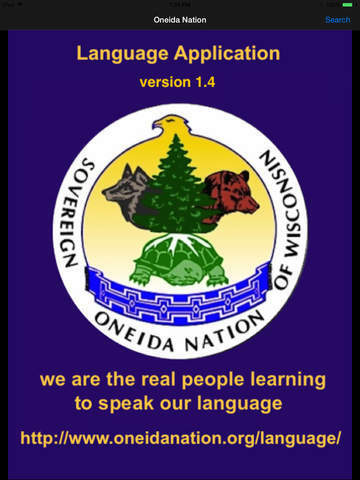 Welcome to the Oneida Nation of Wisconsin Language Application! 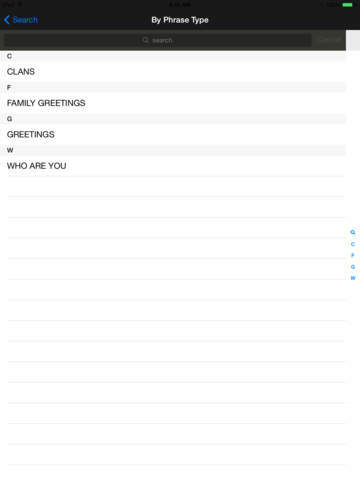 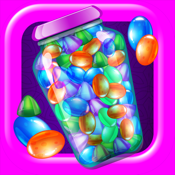 "Oneida Language" is a iPhone, iPod Touch and iPad mobile device language application that contains common Oneida phrases. 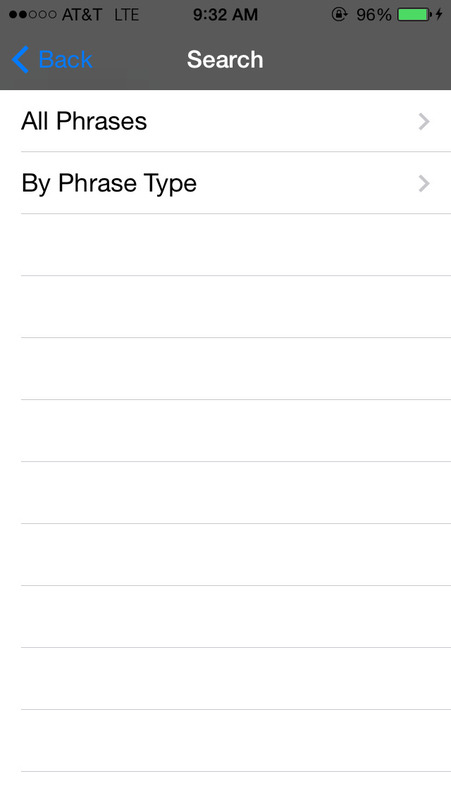 At a touch of a finger, you can easily find Oneida phrases by searching the English word counterpart. 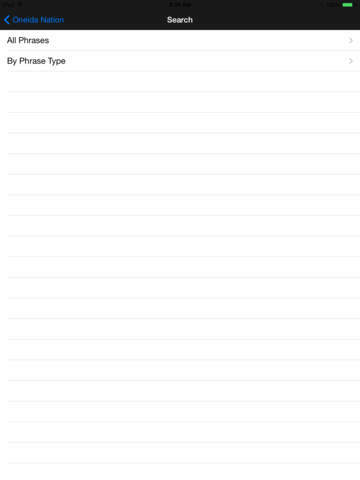 All the Oneida language phrases and sound files were acquired by actual Oneida tribal members. 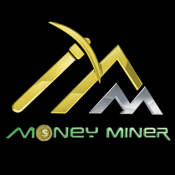 As a result, all Oneida data that is provided in this application are authentic and commonly used by the Oneida people. 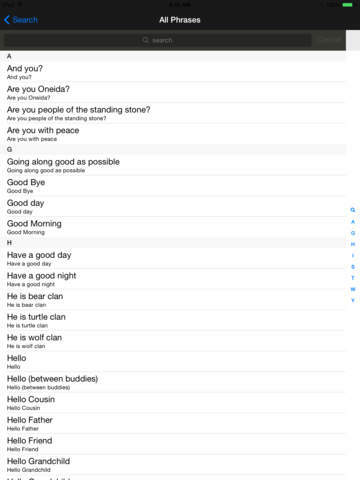 As a user friendly option, the "Oneida Language" application provides sound files and the traditional Oneida written spelling of each phrase. The sound files are provided to allow the user to hear each Oneida phrase being spoken. 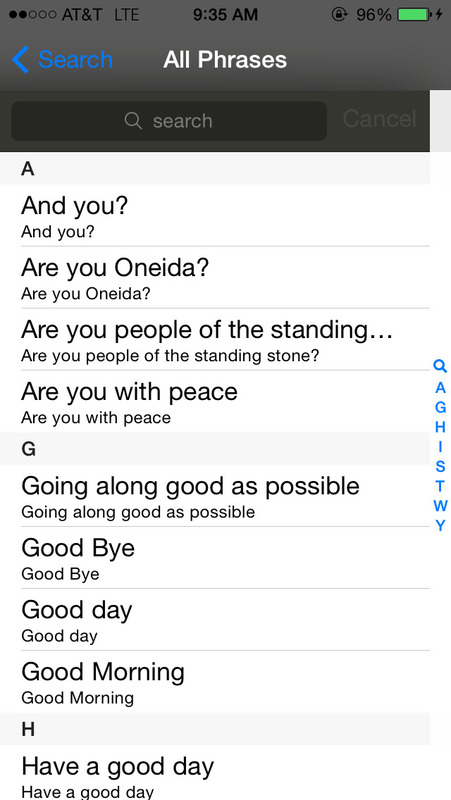 The Oneida written phrases are provided to allow the user to see the traditional spelling of each Oneida phrase. 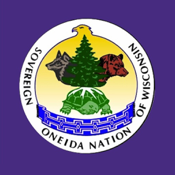 The goal of "Oneida Language" is to provide correct, accurate and commonly spoken Oneida phrases to everyone interested in learning and preserving the Oneida language. 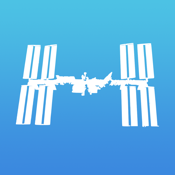 This application is the perfect educational learning tool for anyone interested in learning the traditional language of the Oneida Nation of Wisconsin.